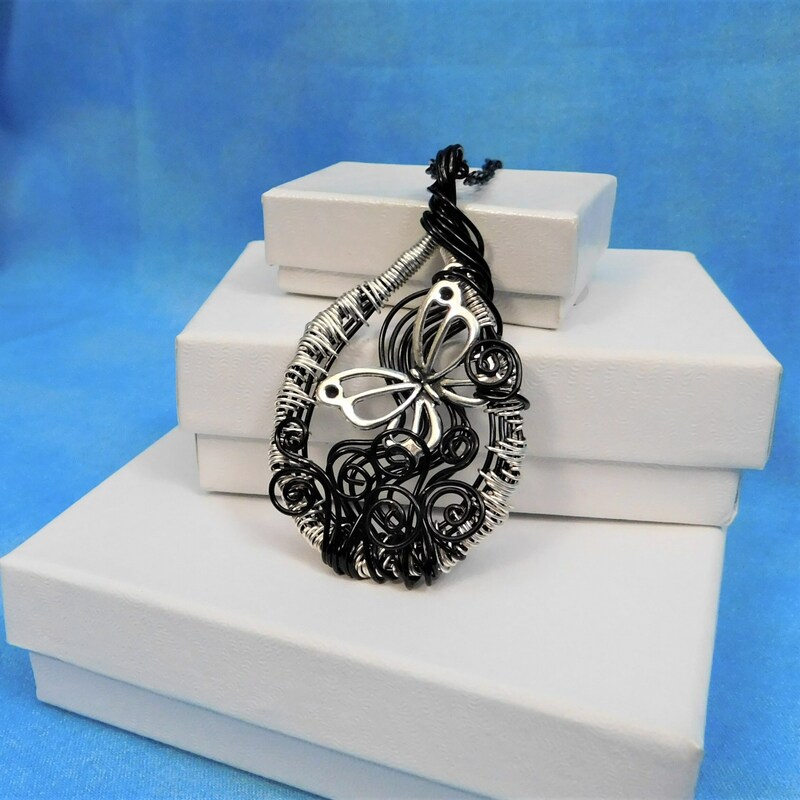 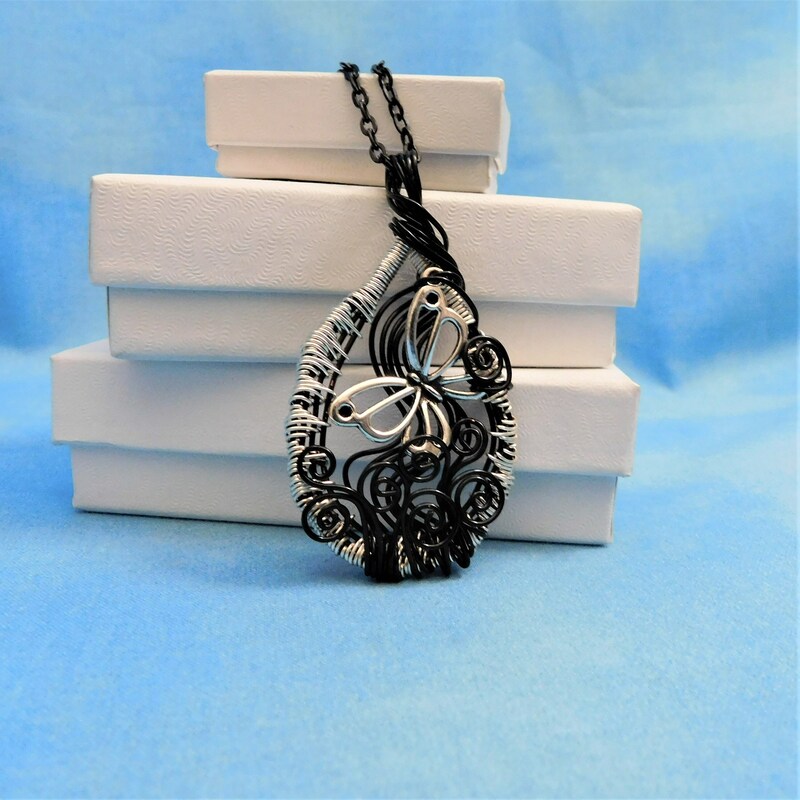 A silver butterfly lightly rests within an artisan crafted hand woven wire frame. 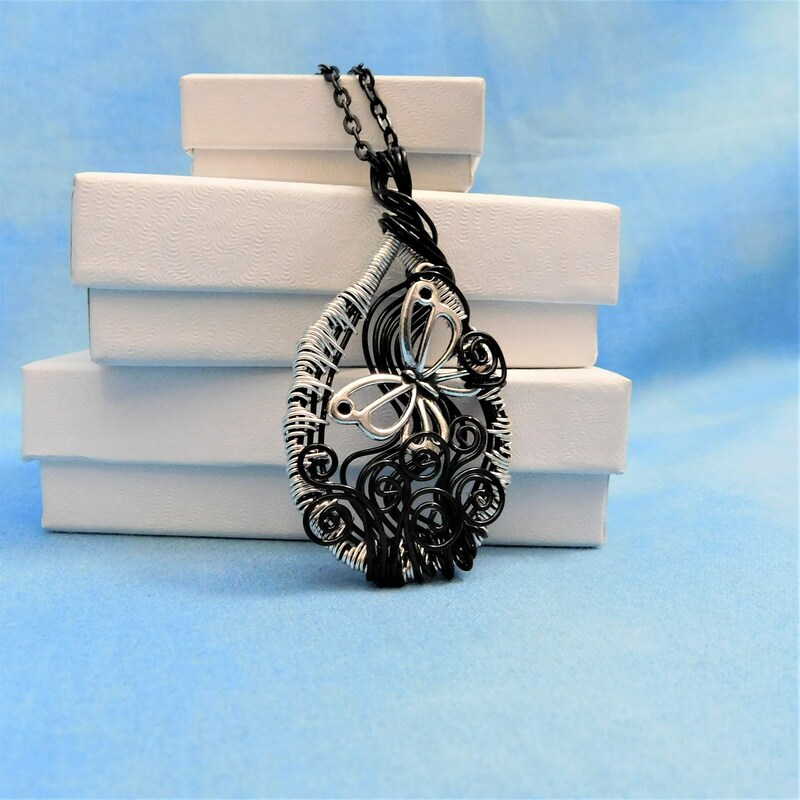 The black strands of wire sweep in swirls, simulating foliage waving in the breeze. 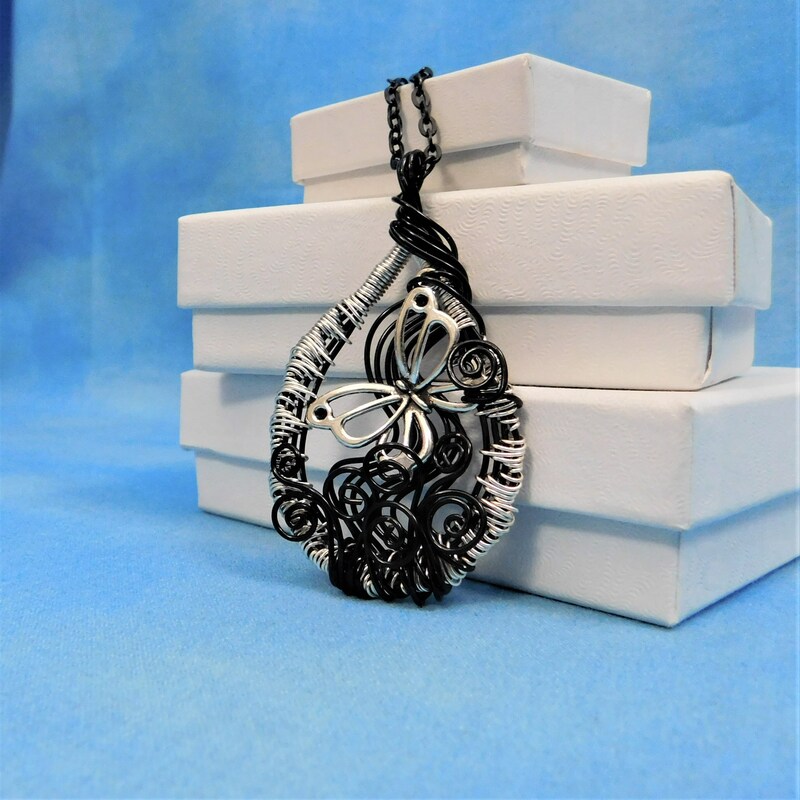 The necklace was created using only five individual strands of wire, pliers and patience. 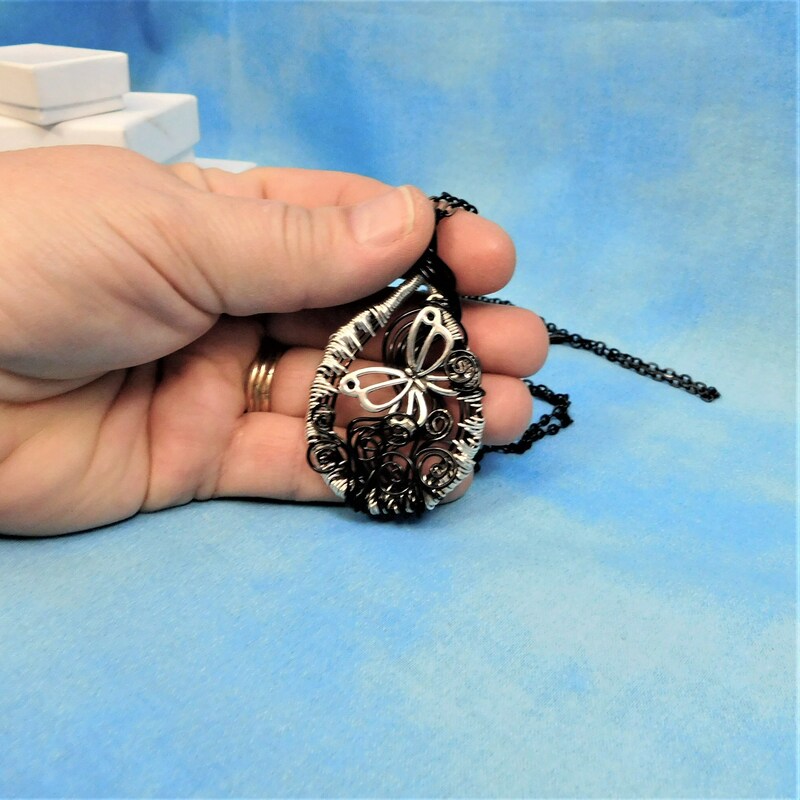 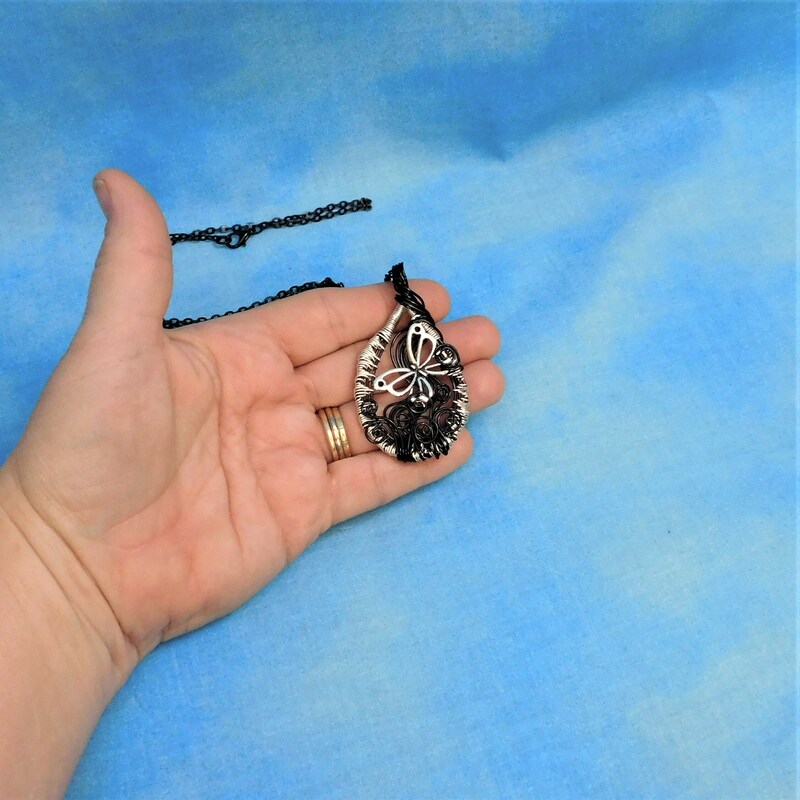 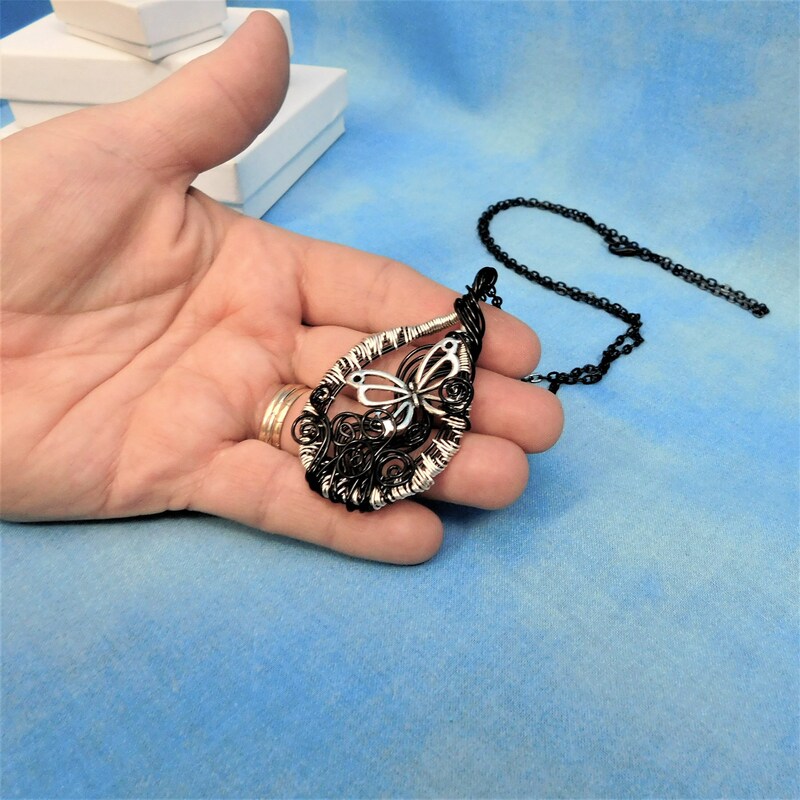 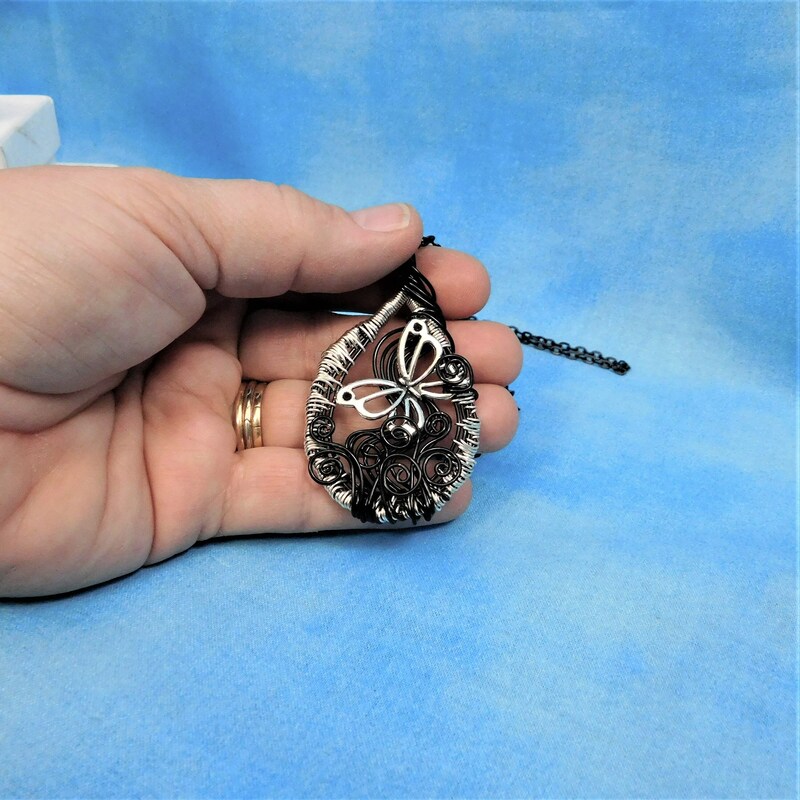 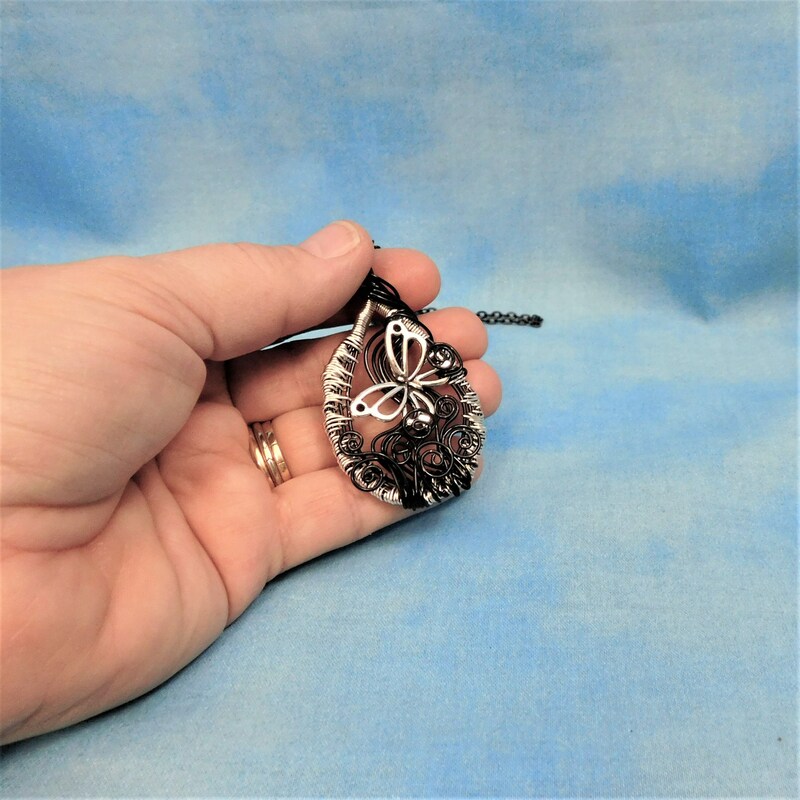 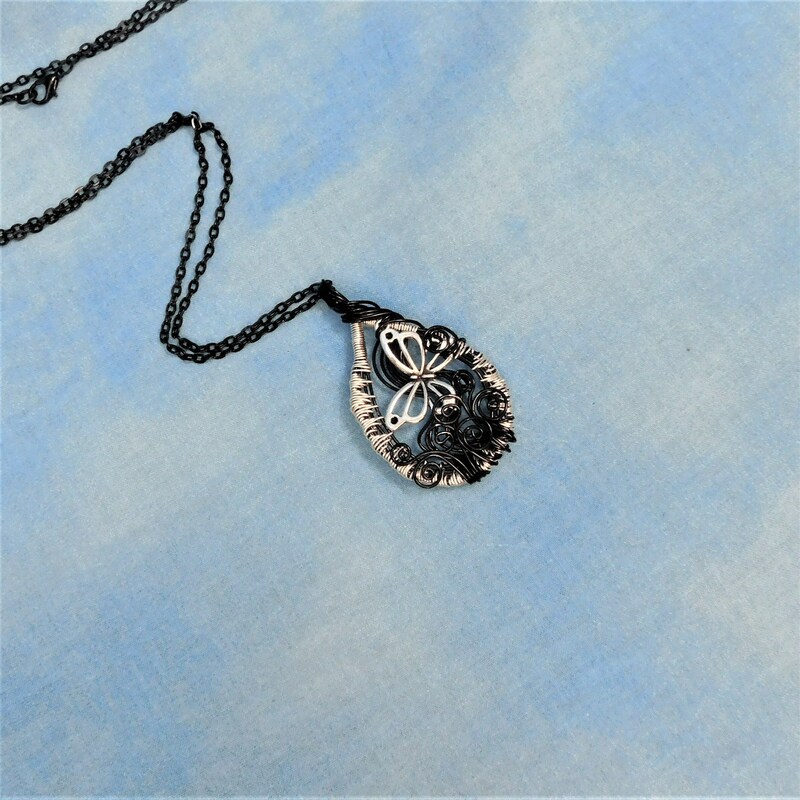 The pendant measures 2 inches by 1 3/4 inches and comes with a FREE coordinating chain with lobster claw clasp, measured to your preferred length.